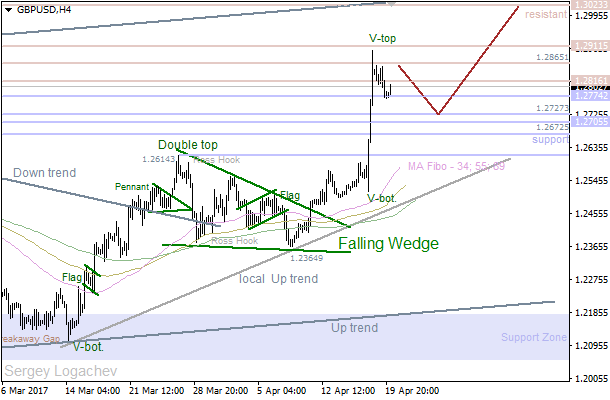 Bulls faced a resistance at 1.2951, so we’ve got a “V-Top” pattern, which pushed the price to a support at 1.2774. 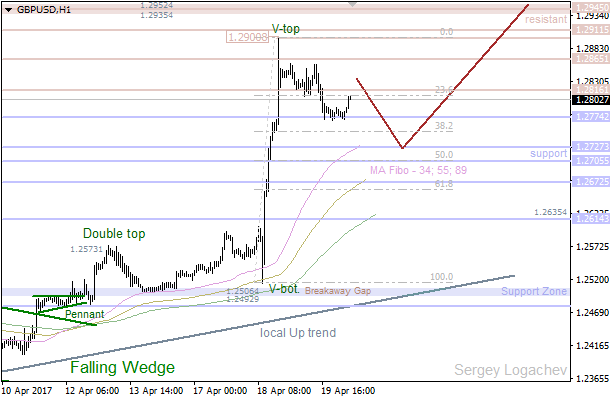 Therefore, the pair is likely going to reach the nearest support at 1.2774 – 1.2727. Meanwhile, if we see a pullback from this area, there’ll be an option to have an upward price movement in the direction of the next resistance at 1.2911 – 1.3023. We’ve got a “V-Top”, which has been confirmed. So, the market is likely going to decline towards the closest support at 1.2774 – 1.2727 during the day. Considering a possible pullback from these levels, there’s an opportunity to have a new high afterwards.